The Unity Oracle: A spiritual adventure to save the world is truly an action adventure novel that takes you on a page-turning ride into spiritual awakening. The tale begins with a geologist, Jason, in the Artic Tundra, where he finds the Earth’s energy strong and alive… and his search for precious metals becomes more of a search for his soul. In an area of high energetic magnitude, surrounded by crystal rock on Chevron Mountain, he enters a portal where he sees translucent visions of people, geometric shapes and symbols, and learns from an Inuit Elder that he is about to begin his karmic path. He will be assisted on this path by many spirit guides and helpers including a gold octahedron, an East Indian Yogi, a Hindu couple, two Madonnas, a Polynesian goddess, and a Native American Indian Chief. Step into it he does, and we grow along with Jason as his wild spiritual adventure encompasses finding 7 golden triangles in mysterious ways that reflect his personal growth and finally combine to become a golden octahedron, The Unity Oracle, that can bring love and healing to our world. Along the way, Jason undergoes out-of-body experiences, release of entities and primordial emotions, kundalini rising, communicating with angelic beings, accurate premonitions, bilocation, the use of animal totems, visualization and the art of manifestation. Take the ride with Jason through his spiritual boot camp and you too will envision a possible future of beauty, with the Great Spirit working with the Earth and its people. Joseph D. Drumheller is a spiritual healer and geologist, living on transecting ley lines in the evergreen state of Washington, USA. He describes himself as an international man of mystery, who when he’s not at home writing about the Adventure, is out living it. Here, he answers my questions about The Unity Oracle. Becca: In general, how much of your book comes from your own personal experiences? Joseph: The Unity Oracle is about 20% pure fiction. I’ve lived the rest of it. The inspiration behind the book comes from mystical experiences I’ve had in Alaska, Findhorn, Oneness University and other places in Nature. I’ve also sprinkled in a little wisdom from what I’ve learned through relationships and the internal world of healing. Becca: Your protagonist, Jason, faces some dangerous, disorienting episodes. Is that par for the course in spiritual awakening? Joseph: I’m not sure. I don’t know what other people go through. Everyone’s spiritual awakening is a customized gift from the Divine. No two are alike, so it’s best not to compare. The disorienting and dangerous awakenings Jason experiences are a reflection of my own. I’m an Aries. We tend to hit head first. Becca: What message do you hope readers take away from your book? Joseph: My first aspiration was to paint a positive vision of the future. We’re in rapidly changing times with uncertainty looming on the horizon. We’re also in an unparalleled time of spiritual awakening. I wanted to combine global spiritual growth with a somewhat realistic outcome. It’s really an adventure about hope. 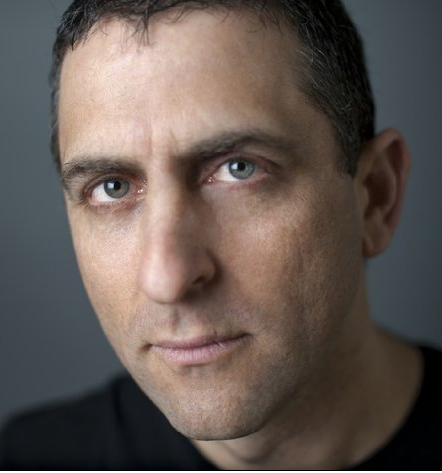 Becca: On Jason’s adventure, what main spiritual truths are conveyed? Suffering. Suffering is a result of suppressed pain that gets locked into the subconscious mind. When that happens, pain repeats. Healing. Suppressed emotion can be healed in meditation. When that’s done, repeating patterns of pain stop. Relationships. Close connections with people act as mirrors designed to accelerate personal growth. Marriage is the best example. Awakening. When suppressed emotion is healed, it opens the doors to spiritual awakenings. That’s when someone evolves from the understanding of a higher power to the experience of it. Union. When two people are independently awakened, they can form a bond of spiritual union, which goes beyond the physical and emotional aspects of most ‘normal’ relationships. Power. When someone is spiritually awakened, they can begin to align their will with the Divine. That creates the dynamics of flow, synchronicity and developing skills that transcend the physical world. Synergy. Synergy is the exponential multiplier effect applied to spirituality (i.e., the tipping point). Through collective consciousness and intent, we can change the world. Becca: What is your vision of the Divine? Joseph: Unfortunately, I’m not a visionary seer or a psychic. That means I don’t see God. I’m a feeler. My connection to a higher power is through a developed level of sensitivity. To me, it feels like electricity running through my body. Becca: How would you suggest someone approach their desire for spiritual awakening? Joseph: Aggressively and with their whole heart. Go for it. Becca: Do you have a continuing spiritual practice? Joseph: I meditate daily, but my personal experience of Divine energy is greatly amplified when I work with other people in my healing sessions. It’s a type of synergy. Becca: How does your non-fiction book, The Subconscious, The Divine and Me, relate to The Unity Oracle? Joseph: They are more or less the same story. The Unity Oracle is an epic adventure of storytelling. The Subconscious, the Divine and Me is a how-to introduction to spirituality with lots of examples and case studies. Both cover similar aspects on the evolution of spiritual truths. Joseph Drumheller’s books, The Unity Oracle and The Subconscious, the Divine and Me, are available on Amazon. Act as if it has already happened. Focus only on the end result. For example, “I have written and published the first in a series of self-help books sharing my knowledge, and I feel (insert emotion here, such as elated, powerful, satisfied, ‘on my way’).” Repeat this practice often, feel imbued by its exhilaration, surf the blue-green waves of happiness and send any dark-eyed doubts packing. Be not bashful – gleefully share the news with your loved ones and tell everyone you know of what you have begun to create. Thoughts become things. Visualize the book gracing your mother’s proud coffee table, seeing its YouTube trailer go viral, or pitching the debut novel everyone is talking about on your favorite talk show. As the saying goes, “It is not enough to stare up the ladder, one must take the first step,” so map out a game plan of action steps to bring your goal(s) to fruition and do them. Carry a symbolic reminder such as a crystal in your purse or wallet, tape notes on your bathroom mirror or photos of what will be, and BELIEVE it can happen. Thanks to Roger Harris, author of Double Take, who wrote this post on IndieAuthorCounsel.org. 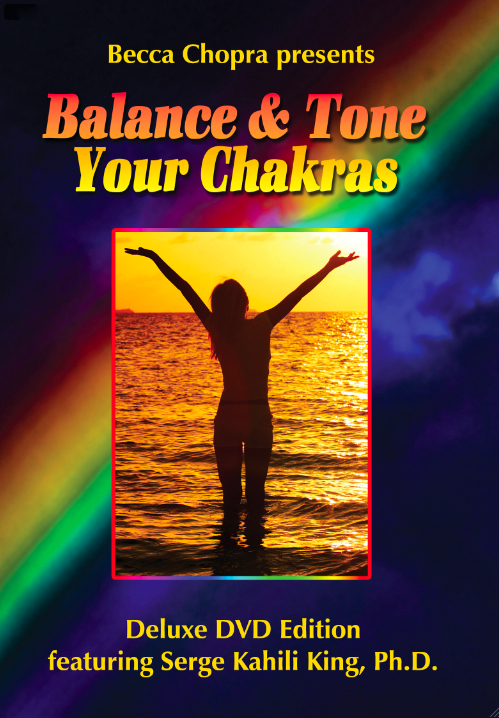 Streaming video of Balance & Tone Your Chakras is included in this special giveaway. Get hundreds of FREE Personal Growth and Business Building products and services, including my Balance & Tone Your Chakras video, by signing up for the 2014 Self Improvement Gifts event. If you have found yourself going round in circles time and time again just trying to improve things in your life, but find yourself getting nowhere fast, then I’m pleased to tell you that it is now easily within your reach to change things during the year ahead. HOWEVER, you need to act fast. The Self Improvement Gifts Giveaway hosted by Stephanie Mulac, Carolyn Hansen and Dr. Joe Rubino will only be open for a VERY LIMITED TIME… only another week in fact. HOW TO CREATE THE LIFE YOU WANT! 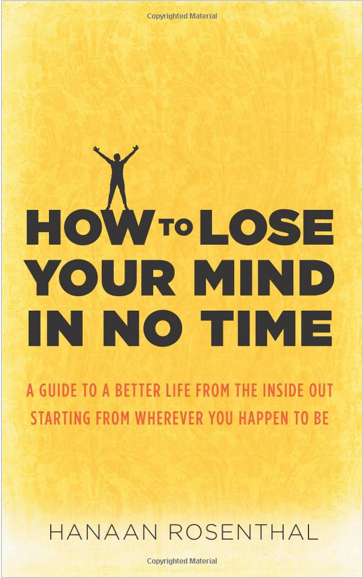 The foreward to Hanaan Rosenthal’s book, How To Lose Your Mind In No Time, starts with the premise that we create our own experience of life, an idea that is at the root of many of the world’s great philosophies and modern books like The Secret. While you may have heard that, you may not have the tools to change your beliefs and your experiences. Well, Hanaan Rosenthal shares the process of consciously creating the reality you want. To put Rosenthal’s ideas into practice, you have to accept that our actions, reactions, thoughts and beliefs compose and create our experience of life. Once you’ve swallowed the pill of personal responsibility, you’ll quickly learn how this gives you the freedom to create the experiences you want. If you want to manifest your goals, follow Rosenthal’s advice to work on how you think and what you believe. Then, allow the universe to provide, trusting rather than stressing. He offers a 3-step process: 1) Imagine the joy of achieving the goal, as if it has already happened. 2) Let go of controlling how or when the goal will be materialized. 3) Take advantage of opportunities as they arise to allow the goal to manifest. He advises emphatically telling your subconscious, out loud, what you want in order to change negative patterns. This is the first step in the Dynamind process that I have found so powerful, and describe in my book, Chakra Secrets. I loved Rosenthal’s explanation of how this helps you assert conscious command over the actions ruled by the powerful subconscious mind. This book emphasizes that we are all on a journey of our own, and it’s up to us to find what is not working. For instance, if you have financial worries, you need to observe how you make and spend money — a tool the subconscious uses to align our financial situation with our beliefs. Then, you can remove any blocks and allow more money in. This book is a great reminder that our subconscious minds will take us where our beliefs point. If you want to see change in your life, you need to make changes, and Rosenthal’s suggestions can help you get where you want to go. Hanaan Rosenthal is an author, public speaker and a student of life, living in Providence, RI. BECCA: What is the underlying message of your book? HANAAN: The message is that anyone can have a great life. That a great life is not something that some condition outside of you will bring, but rather a decision you make to have a great life. The message is to own every bit of your life and use the knowledge that you are the creator of your experience as a point of strength and deliberate creation rather than feeling guilt. BECCA: What inspired you to write it? HANAAN: My own experiences, and my need to share what I love and know. It comes from deep within me. The love of sharing and explaining is not something I control. BECCA: What do you hope readers will take away from your book? HANAAN: That life is not that serious! Lighten up, dream and imagine what you want, and let go. If anyone reading the book can learn to let go of drama a little bit, I have done my job. BECCA: Where do you find your inspiration? HANAAN: People. I love people. I love talking to them, understanding their true essence and loving whatever is there, under the pretense. BECCA: What is the best thing anyone has said about your book? HANAAN: I heard a few things from people who used it to improve their lives. The best thing I heard was “Hanaan, this stuff works right away. It’s amazing.” Made me feel good. BECCA: Any advice for others who feel they have a story to tell? HANAAN: Imagine yourself holding your book. Imagine seeing it on Amazon. If you do that enough, it will be out without struggle. It will just happen. Jennifer O’Neill is a psychic and spiritual teacher whose bio says she devotes most of her time to teaching people how to live a healthier, happier life. 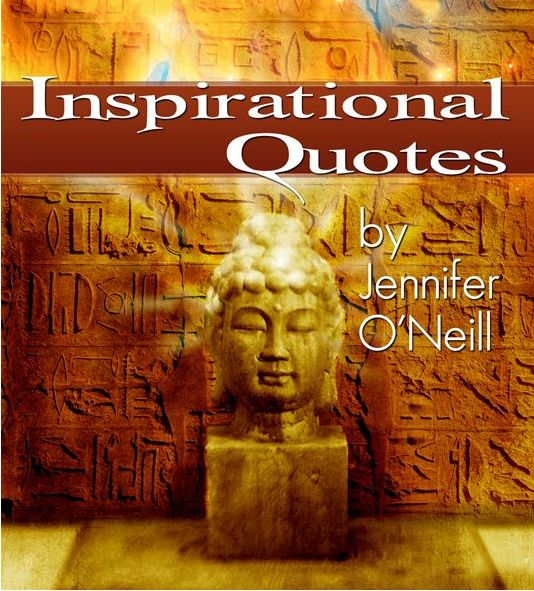 “Inspirational Quotes” does this so well, she can now relax while we all take advantage of the wisdom, the universal truths she inspires us with in this wonderful book. Even if you read the book cover to cover, you’ll want to use the book as O’Neill suggests – turning to a page at random whenever needed for just the right message to help you believe in yourself and achieve happiness in your life. I intend to use this wonderful book as oracle cards, to inspire me daily with just the right message to keep me on my path… a path that we’re all on, a path that O’Neill has beautifully laid out in this book. Just finished reading Rainbow Eyes: Chakramid Reflections. Rainbow Eyes starts with a unique new way to look at and understand the chakras – with an introduction to the Chakramid, a pyramid of chakra energy with the Root Chakra forming a strong foundation, ascending up to the higher energy self in the Crown Chakra. 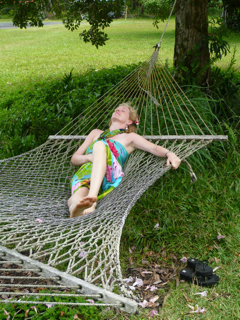 It’s a wonderful way to quickly understand the properties and functions of our body’s energy centers. The heart of the book is one woman’s self discovery as she journeys through the chakras, balances them and, in the process, recognizes her true path in life. She is able to remove the blocks that her unbalanced energy centers had previously placed in her way.